The phrase “once in a blue moon” may give the idea that blue moons are exceptionally rare, but in fact, a blue moon can be seen about every 2.7 years. If you’ve been waiting to see what happens when our calendar months clash with lunar months, on Friday, August 31st we will experience the second full moon of the month, known as a “blue moon”. The moon will reach its full phase for the second time this month at 9:58 a.m. EDT on Friday. The first full moon of the month was on August 2nd. This is the last time we will get to see two full moons in a month until July 2015. If you’re wondering, blue moons are not actually blue (unless they eat a blue popsicle before coming up). The term actually refers to the third full moon of a season – winter, spring, summer, or fall – where four full moons come around instead of three. It happens about every three years, but in 1999, blue moons occurred in both January and March with no full moon during the month of February. Since it takes 29.5 days for the moon to orbit Earth and each calendar month (except February) is 30 or 31 days, it’s inevitable that two full moons will occasionally sneak into the same month. While here in the western region we’ll see the full moon at the end of August, if you’re in New Zealand or the Kamchatka region of the Russian Far East, you’ll experience two full moons on September 1st and 30th. Just another cool way to appreciate the wonders of the universe. 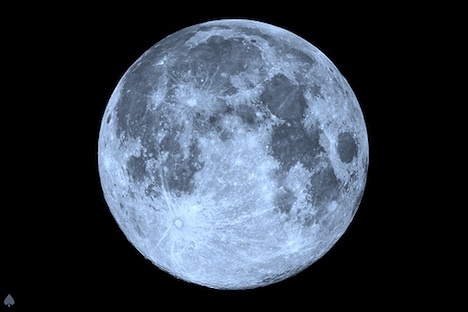 Will you be checking out the blue moon as it lights up the night on Friday?